This property site is an Opportunity Zone Property with tremendous tax savings opportunity to Investors. Ideal property for Builders/Developers! Zoned: MF1 which support Multi-family Apartment building, Condo, Townhome or Single Family Homes. 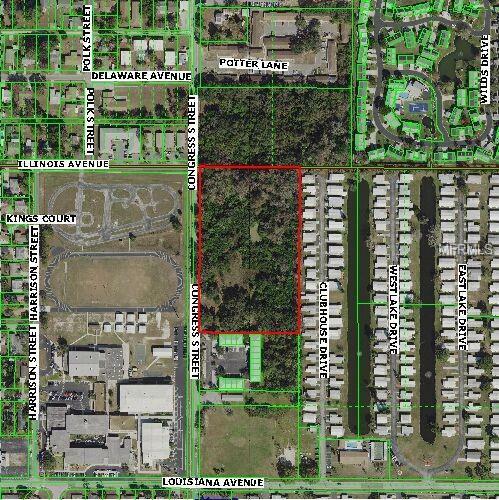 Units Allowed 65 +/- on 6.4 Acres with alot of Oaks and Palm trees. Final Site Plan approved by Building Department in 2008 for 2-3 bedroom Apartments but most likely will require updating. Property adjoining Condo Complex on South side of property, Mobile Home Park in Rear, small canal/stream on North end of property and School across street. Site Plan provided upon request.